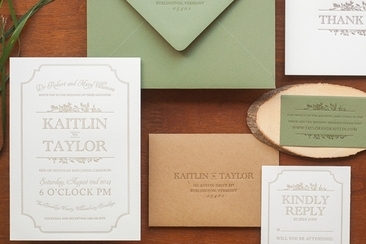 So you decided to play an active role in creating your wedding invitation? That’s great! If you really want to take your wedding invitation up a notch, remember that nothing beats a DIY layout. Not sure where to start? 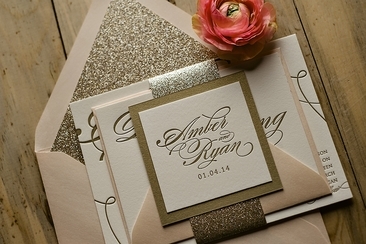 Don’t worry because we’ve gathered 20 best wedding invitation design software for your project! Getting the best of both worlds is never ‘mission impossible’ with the right software at hand. With its vector-based graphic design, you don’t need to worry about pixelated images that degrade the quality of your work. As an added bonus, you can still use your preferred fonts, custom illustrations and pixel-based images as you make arrangements for your wedding layout. So you’re done with creating a layout for your wedding invitation but you still can’t bring out the best in your texts and paragraphs? Don’t worry! You can always use Photoshop or Illustrator in combination with Adobe InDesign as this software is perfect for creating stunning documents that aim to reach out to your guests. Another favorite of many layout artists, Adobe Photoshop allows flexibility to users as it has extended manipulating properties. This means that not only does it have the layout capabilities offered by Adobe Illustrator, but it also provides you more control on your layout. Just a reminder: when using this wedding invitation design software, set the size of the image at 300 dpi so you can avoid problems with pixelated images. If you are not really a fan of Adobe, you can turn to other software that can provide you a creative layout. Just like Adobe Illustrator, Inkscape is a vector-based graphic design layout, which means that you can also easily manipulate the design of your desired wedding invitation, minus the pixelated images. User-friendly and jam-packed with elements that can help you unleash your creative side, Canva is a tool that enables both beginner and expert artists to make the most mesmerizing layouts without having to use a complex interface. From basic to advanced options, you can manipulate your wedding design in accordance to your capabilities as a designer. Looking for a word processor that can offer you a myriad of options for creating layouts? Pages for Mac is a powerful software that helps designers who aim at beautifying their texts. With simple features that can make your work stand out, Pages for Mac is absolutely the perfect software if you want to emphasize the power of words in your wedding invitation. Whether you want to go minimal on the background to highlight your texts or your need your background to be full without going over the top, PrintMaster Platinum is a tool that can turn your visions into reality. 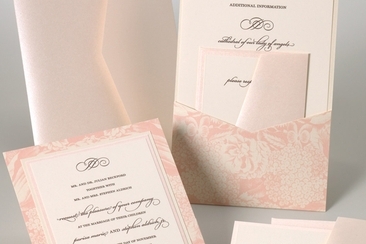 With over 8700 Hallmark design cards, this wedding invitation design software can make customization as easy as singing “ABC” as it also provides tutorials to first-time users. MS Publisher is still around the corner, providing designers a fast and convenient way to create their own designs. 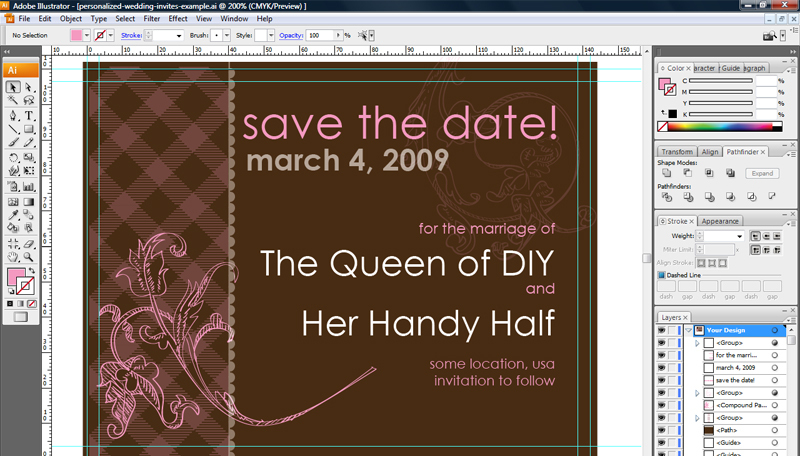 By simply dragging and dropping the images on your desktop, you can get started at making your own wedding invitation. Convenient and easy to use, Print Shop Deluxe offers designers more than 4,800 templates. With editing tools that can suit even beginner designers, your dream wedding invitation will surely be just a few baby steps away. Based from the GIMP’s technology, Seashore is an image editor for Mac OS X’s Cocoa framework. Its features focus mainly on basic editing purposes instead of highly technical and professional layout creation. Want to create a layout without downloading anything? Editor by Pixlr is a quick fix as it provides you online tools that can enable you to manage your layout without getting confused on highly advanced tools and features. Suitable for windows, Linux and OS X, GIMP offers features fairly similar to Adobe Photoshop. So if you are looking for handy tools available in Adobe, you can turn to this free software. GimPhoto has almost the same features as GIMP, which basically means that you can expect to encounter Photoshop-like tools as you use this wedding invitation design software. With over 300 templates, Greeting Card Studio can help you create beautiful invitations not only for your wedding, but for other special occasions as well. 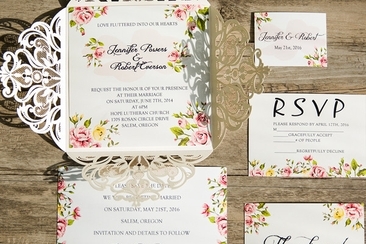 While it may not be widely known as software specifically for making wedding invites, Print Creations provides templates and tools that will help you bring out the best in your wedding invitation. 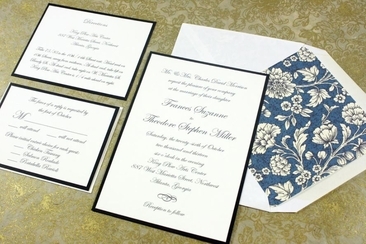 If you really want to go above and beyond and create not just a wedding invitation, but a printed program as well, Print Artist Platinum is the tool you need as it is ideally used for different printable items. In fact, its advanced tools can also be handy in making brochures in the future. Whether you want to use a template or create a wedding invitation from scratch, this software is more than capable to provide you all of your editing needs. Not a newbie when it comes to designing a layout? 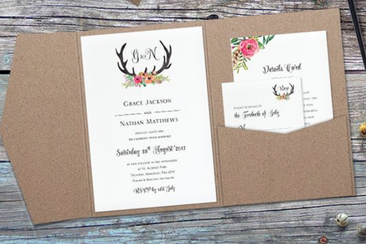 Printing Press is the right wedding invitation design software for you as it offers users highly advanced tools that can make up for the most enthralling wedding invitation. Another software created for the artists at heart like you, Greeting Card Factory Deluxe makes templates and tools available for your wedding. Plus, it was also programmed to generate invites of all sizes. Designing images for wedding cards invitations need to consider the colors, fonts, cutout and more details. Here is the perfect place to start for various styled cards.